When senior housing transactions are arranged, there are multiple documents needed for a successful closing. 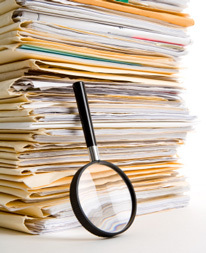 These documents are often extremely industry-specific and require experienced legal counsel to help prepare them. Buying skilled nursing facilities and/or assisted living properties for sale are complex transactions. Not only is it a sale of real estate, but one of an operating business and issuance of a new license, all of which must comply with state regulations. Once a sale takes place, some states with high transaction volume take between six to twelve months for new licenses to be issued. Transactions for skilled nursing facilities for sale not only require the issuance of new license but also require new provider numbers for Medicare and Medicaid, necessitating the need for specific operations transfer agreements. In most states, licensing regulations typically do not want transactions to close until a new license is issued. Because of the significant delays in procuring licenses and provider numbers it is difficult to expect buyers to sit still and seller’s to maintain the same level of financial performance; therefore, these transaction are typically closed before the new license is issued using specific operations transfer agreements prepared by legal counsel. To circumvent delays and to protect your interest in the transaction process of buying healthcare properties, there are a number of documents that with the aid of legal counsel you can use. This document is for both business and real estate. Depending on your attorney and preference, the Purchase and Sale Agreement may provide one for the business and one for the real estate or combine the two. The Operations Transfer Agreement allows the incoming buyer to operate with the seller and their license until the issuance of the new license after the close of escrow. This document outlines the warranties, liabilities and how accounts payable and receivable are handled. The Sublease Agreement allows the preservation of the seller’s license for the duration of the transition period. This allows the facility to remain open and operable under legal license until the transaction for the care home for sale is complete and licenses are issued to the buyer. A lease agreement may be necessary if you are only acquiring the business and plan to lease the building from the landlord. In some cases, if you have multiple leases, you may have a Master Lease Agreement, which includes all your leased assets under one agreement with the landlord. In any given transaction, whether you decide to buy assisted living facilities or buy healthcare properties in general, you have very complicated loan documents that surpass the capabilities of your average attorney. This is where JCH and an experienced attorney will help guide you to a successful purchase. The JCH Group believes it is imperative for individuals to hire the right council in order for your transaction to buy healthcare properties succeed as quickly and smoothly as possible. We recommend that you speak with several of these specialized attorneys to discover who is the best fit for you, your company and the transaction you desire. JCH is always happy to refer multiple capable attorneys at any time to help you make the right choice throughout the transaction process. As one of California’s top skilled nursing brokerages, we provide the experienced guidance and resources needed to make your senior housing sale or purchase a success.